Matt Alegi solves problems. A deal lawyer with significant experience in dispute resolution and regulatory compliance, clients hire him because his practical, results-driven approach gets things done. While his legal practice spans a wide range of real estate and finance related areas, Matt primarily concentrates on representing buyers, sellers and lenders in the acquisition, sale and financing of real estate. His practice also involves advising lenders and borrowers regarding problem loans, including loan workouts, loss mitigation strategies and collateralization issues. He regularly represents title insurers and insureds regarding complex real estate title disputes and title insurance claims. Renewable energy clients trust Matt to handle their commercial solar projects from start to finish. Managing some of the largest solar projects in the eastern United States, Matt successfully manages pre-acquisition, site control, title underwriting and closings. Further, through the firm’s in-house title agency, Matt helps clients gain their needed solar endorsements and issues nine-figure owner’s and lender’s title insurance policies. Matt also advises title insurance agents, mortgage brokers, real estate brokers and banks regarding day-to-day operations, dispute resolution and regulatory compliance. He also acts as compliance counsel to local, regional and national builders and developers, specifically regarding outsale contract compliance and RESPA issues, and he has provided legal services to the United States Department of the Treasury under the Troubled Asset Relief Program (TARP). He regularly represents clients involved in contract disputes. At Shulman Rogers, Matt is a member of the Executive Committee, the Board of Directors, Co-Chair of the Mergers and Laterals Committee, and a Shareholder in the firm’s Real Estate and Commercial Litigation Departments. 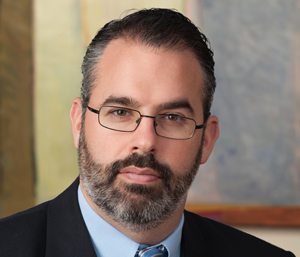 A recognized leader in both the local and state legal communities, Matt currently Co-Chairs the Bar Association of Montgomery County Real Estate Law Section, and is a past Chair of the Title and Closings Committee of the Maryland State Bar Association Real Property Section. In 2012, he was inducted as a Fellow of the Maryland Bar Foundation in recognition of his “outstanding dedication and contribution to maintaining the honor and integrity of the legal profession, the improvement and facilitation of justice, the work of the organized Bar of Maryland and civic leadership” — an honor given to only 2.5% of Maryland State Bar Association members. Frequently asked to serve as an educator, he is a regular speaker at continuing legal education courses, and recently taught at the Maryland Advanced Real Property Institute. He is also a Maryland licensed Real Estate Broker. While attending Catholic University of America, Columbus School of Law, Matt was a Merit Scholar and Associate Editor of The Journal of Contemporary Health Law and Policy.